Instead of feeling shame at your family reunion when your last minute store-bought cake sits next to Grandma’s homemade double chocolate chip cookies, use this recipe to impress the pants off them. All you need is three ingredients to transform a plain cake into a must-have dessert that will give Grandma’s cookies a run for her money. Melt chocolate in the microwave for 30 second intervals until is it completely melted. Stir between each interval. #SpoonTip: Either milk or dark chocolate will do for this recipe. A combination of both is also delicious. 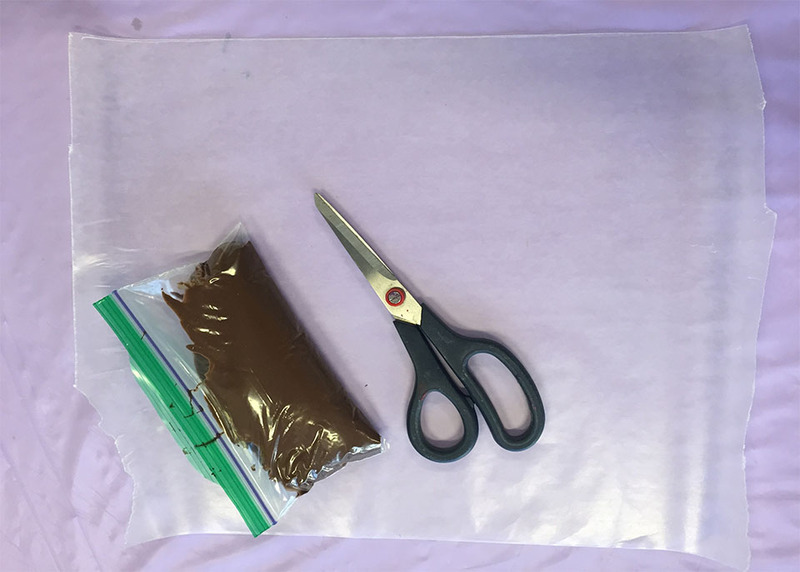 Pour chocolate into a plastic bag and use scissors to snip off the corner of the bag. 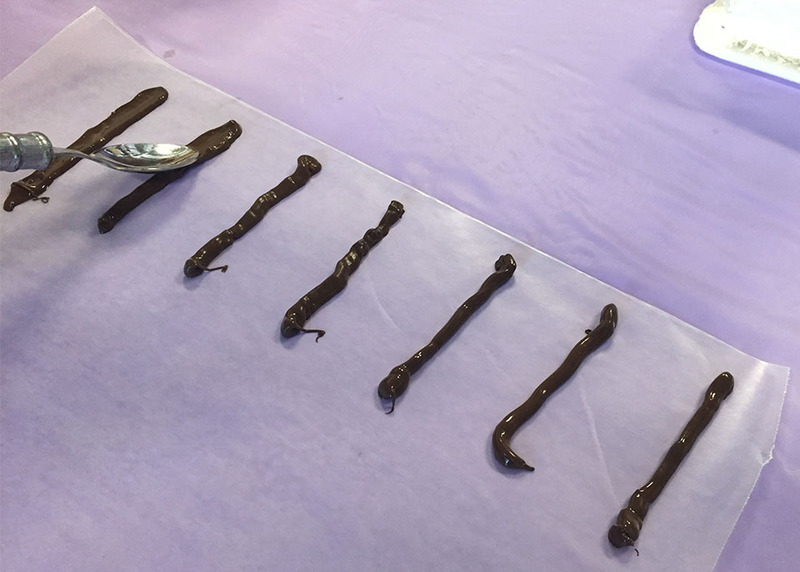 Pipe lines of chocolate on wax paper. 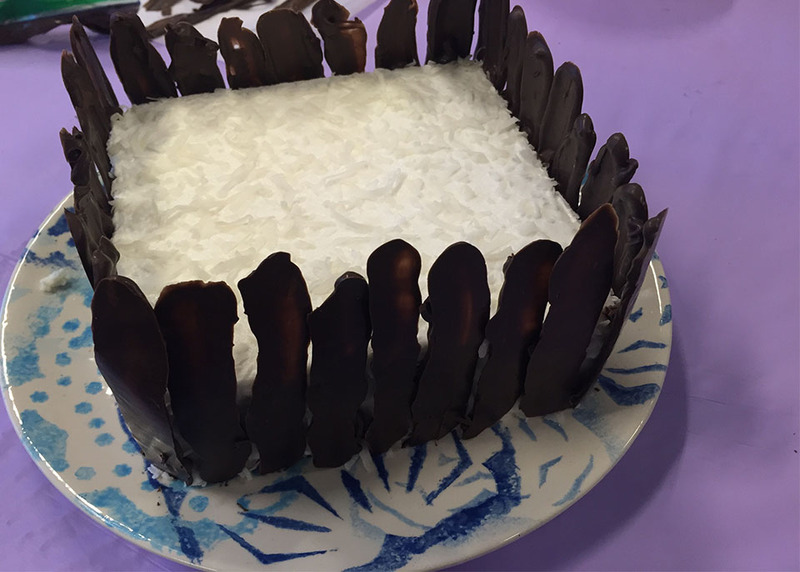 Drag the back of the spoon over the lines, spreading the chocolate out, creating the picket-like shape. Place the chocolates in the fridge for 5 minutes. Cut the tops of the strawberries off and place them in a bowl. 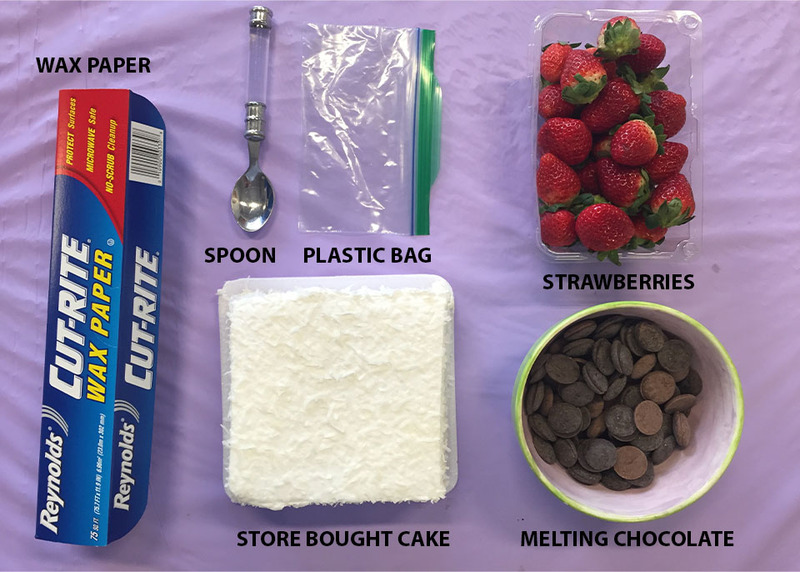 Prep your station for assembly (remove chocolate from fridge). Pipe chocolate on the bottom half of the chocolate picket and place on the side of the cake. #SpoonTip: Leave your finger pressed against the chocolate for at least 20 seconds to make sure the chocolate sets. 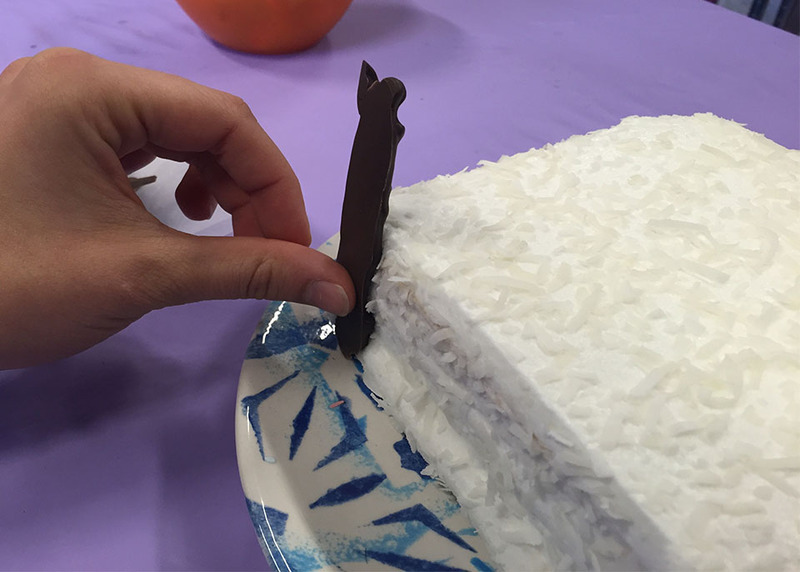 Continue placing the chocolate pickets around the cake until all four sides are covered. 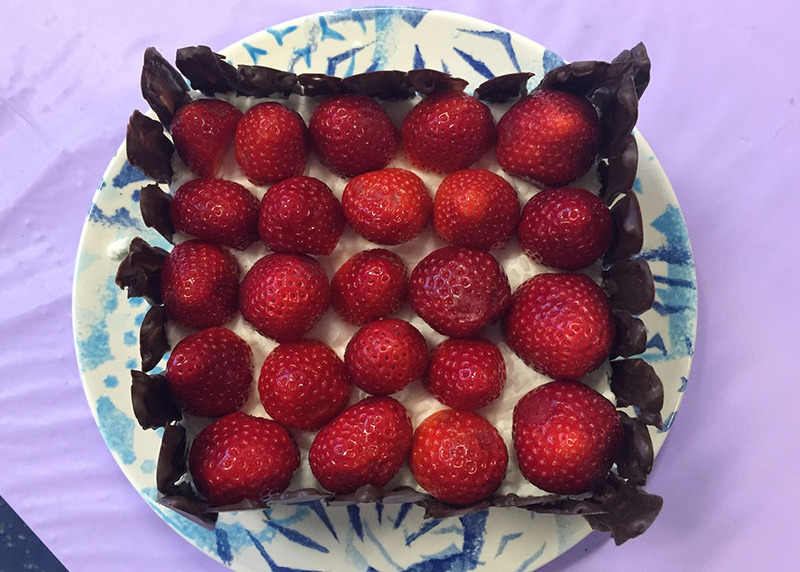 Place (individually and carefully) each strawberry on the cake until the top is completely covered. 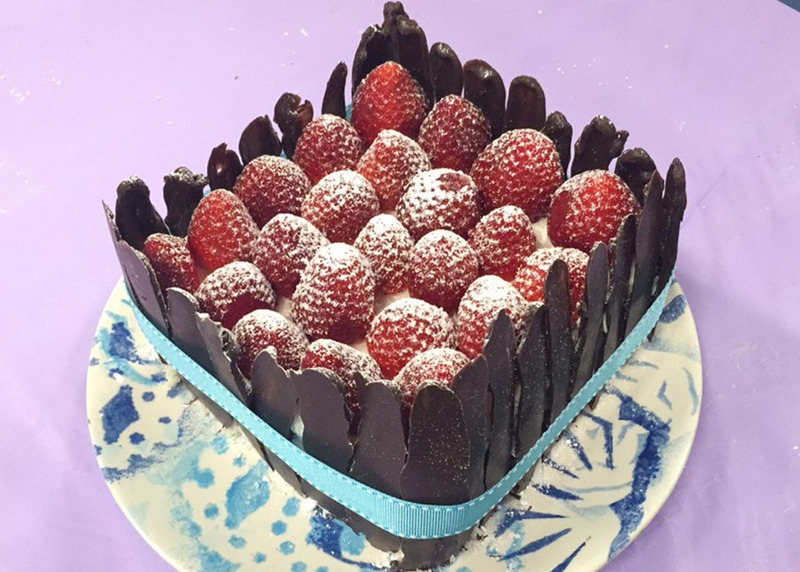 Dust the top with powdered sugar and place a ribbon around the cake. 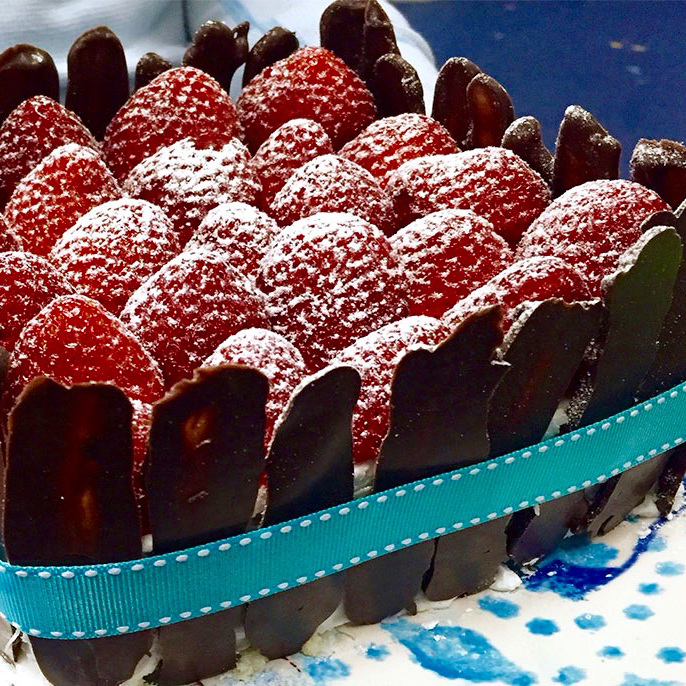 You can secure the ribbon with melted chocolate.